High-profile shootings at universities and major weather incidents such as hurricanes and floods have driven the proliferation of companies providing emergency alert services via mobile devices across campuses, large cities and even entire regions. But mobile operators now are warning that messages won’t always reach recipients in a timely manner and sometimes not at all — a big problem when seconds truly count. Indeed, incidents already have occurred where messages never reached the intended recipients or were delayed significantly. According to published reports, just hours after two graduate students at Louisiana State University were shot and killed in a campus apartment building in December, LSU leaders used the university’s new emergency-notification system to issue text messages to about 8400 students who had opted in for the service. But a number of the messages never arrived. In February, the University of Connecticut police sent a text message through the university’s emergency system to 16,000 students, staff, parents and others after a hole was found in the ice on a nearby lake. But police said some people reported receiving the text message on their mobile phones up to an hour after the messages were sent, prompting campus police to search for a new emergency text message provider, according to The Hartford Courant. “The one method that everyone has jumped on as the panacea [for these high-profile incidents] is alert messaging via the mobile phone. Most people do have access to a cell phone, and they are a convenient tool for alerting,” said Bruce Lee, industry solutions manager for Sprint Nextel. Why can’t commercial operators push all of these messages through? When one message sent to many people simply originates from the public e-mail gateway, as many of these emergency text messages do, the mobile network recognizes them as spam and keeps the messages from moving through. Moreover, mobile networks were never built to handle a flood of messages at one time, Lee said. “No system has unlimited capacity. In reality, the current way all carriers around the world transmit messages is that one message to 10,000 people is 10,000 individual messages. After a gunman at Virginia Tech University killed 32 people and then himself last April, universities across the country scrambled to ensure students that their campuses were safe, while scores of new vendors popped up offering emergency text messaging solutions. CSU ultimately chose to work with Rave Wireless and its alert system. The company was founded four years ago with the idea of offering university-focused mobile content. It shifted its focus to university safety after the Virginia Tech shooting. Rave Wireless distinguishes itself in the emergency text market by offering a redundant system that pushes text messages through multiple carriers, said Robert Jones, the company’s marketing director. Rave Wireless leverages multiple redundant data centers to make sure messages get through over several operator networks. The vendor also has relationships with multiple SMS aggregators, companies that have direct interfaces to mobile operator SMS networks. Using an aggregator provides many benefits for users, including service level agreements — which ensure throughput and delivery of text messages — spam bypassing, unlimited message size and delivery results documentation. Even with these precautions and redundancy, sending an emergency message is still no easy task. CSU’s first test of the Rave system wasn’t as successful as expected. Some 20,000 messages were sent, and many took up to 35 minutes to reach recipients. Rave and CSU worked to improve the system, with the latest tests resulting in 23,000 messages being delivered within two minutes through several different operators. Jones stresses that SMS isn’t the panacea for notifying students and staff of emergencies. Universities should use SMS as part of a holistic approach that could include other notification methods such as sirens, voicemail and resident assistants knocking on doors to warn students to stay in their dorm rooms. Sprint and other operators — along with representatives from the FCC, the Department of Homeland Security, state and local governments, wireless vendors, and private sector groups — make up the Commercial Mobile Service Alert Advisory Committee (CMSAAC). 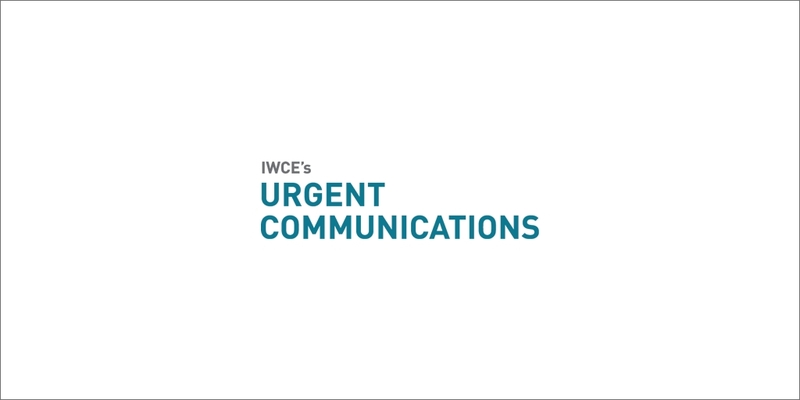 The group’s mission is to develop recommendations on technical standards and protocols to enable commercial mobile providers to voluntarily transmit emergency alerts to their subscribers. The FCC established the committee pursuant to Section 603 of the Warning, Alert and Response Network (WARN) Act enacted in 2006. The hope is that eventually everyone will be on the same page when it comes to transmitting emergency messages, and that technology will become much more advanced to facilitate these messages. The FCC took a giant step toward that goal last month by approving a plan to create a nationwide emergency alert system that makes use of text messaging. The commission is allowing each participating mobile phone operator (participation is voluntary) to choose its own technology for deploying emergency warnings to customers. However, it appears cell broadcast technologies are favored as the best solution for mass distribution of emergency notifications on wireless networks. Cell broadcasts allow messages to be sent only to certain devices within an affected area, eliminating the overcrowding seen in SMS networks today, Lee said. In fact, CellCast Technologies already is working with Einstein Wireless in Wisconsin to deliver emergency alert messages using cell broadcast technology. According to Lee, industry and government is working on creating a single standard for cell broadcasts that brings along an ecosystem with it, but how quickly that could happen remains to be seen. Such a technology would need to be implemented at every cell site and in every handset, which costs money. A Verizon Wireless spokesman also indicated some technological changes would need to be made to its network to incorporate cell broadcast technology. Still, Richard Mirgon, first vice president of the Association of Public Safety Communications Officials, said that carriers’ senior technology officials who worked with him on the CMSAAC did not indicate that there would be significant technical issues. In fact, Mirgon noted that as the CMSAAC meetings proceeded, it became clearer to him that commercial carriers were viewing an emergency alert program as another way to improve the location-based technology in their networks. By doing so, carriers would be able to meet new location requirements for 911 calls and, eventually, open the door to a location-based advertising market that carriers long have anticipated, he said. Mirgon and FCC sources both indicated that most messages would be delivered on a countywide or regional basis, meaning multiple regional gateways would be needed in addition to the federal-agency gateway. But until all these changes happen, operators will have to work on educating the public about the limitations of today’s SMS alerts. The Commercial Mobile Alert System will help ensure that Americans who subscribe to participating wireless services receive emergency alerts when there is a disaster or emergency. Wireless carriers that choose to participate in the CMAS will transmit text-based alerts to their subscribers. Child abduction emergency/AMBER alerts related to missing or endangered children due to an abduction or runaway situation.